Orestias ascotanensis Parenti is a critically-endangered fish species endemic to the Ascotán salt pan springs. 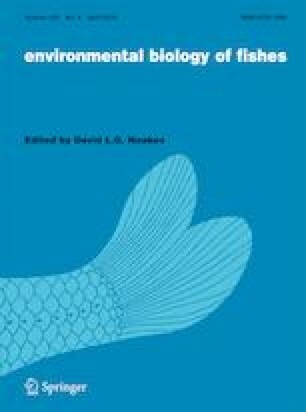 Given the importance of reproduction and early development in effective conservation of fish populations, this study describes the embryonic development of O. ascotanensis under laboratory conditions. Between 2014 and 2015, 50 individuals were captured and maintained under controlled conditions, including temperature, photoperiod and feeding regimen, to induce spawning for artificial fertilization. Females were subjected to hormone therapy with Ovaprim®. Water temperature was maintained at 20 °C (± 1 °C), conductivity at 2800–3600 μS·cm−1 and photoperiod at 16:8 (light hours: dark hours). Males showed changes in color and courtship behavior, and females developed a slightly bulging belly. Eggs were 1.55–2.5 mm in diameter, with abundant yolk and dozens of adhesion filaments. Embryonic development lasted 14–18 days; it was divided into five periods, which can be sub-divided into 21 stages, from fertilization to hatching. O. ascotanensis showed indications of partial spawning species, including oocytes at different stages of development, relatively large eggs as compared to adult fish length and low batch spawning. Characteristics such as partial spawning, highly-pigmented eggs and larvae and advanced larval development at hatching could be adaptations to the extreme conditions of the salt pan springs, including high levels of ultraviolet radiation and salinity as well as significant daily temperature changes. Comisión Nacional Científica y Tecnológica Project 1140543. All procedures involving animals were performed in accordance with the standards of the Universidad de Chile Bioethics Committee.